Blue Cross and Blue Shield of Kansas City (Blue KC) and the “C” You in the Major Leagues Foundation (CYITML) have announced Hall of Fame basketball coach Larry Holley, who retired from William Jewell at the end of this past season, as the April Blue KC Coaches with Character honoree. 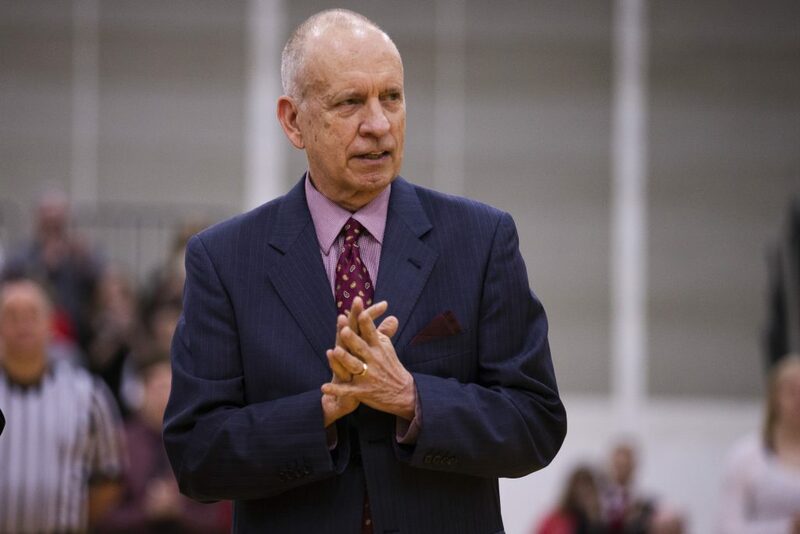 In addition to being the ninth winningest men’s college basketball coach of any level with 916 career wins, Holley also is the winningest coach in the state of Missouri. A member of five halls of fame, Holley earned 15 Coach of the Year honors during his career, including the Sears/NABC NAIA National Coach of the Year in 1996 and the 2018 Kansas City Sports Commission Coach of the Year. A 1967 graduate of William Jewell himself, Holley earned varsity letters as a student-athlete in basketball, cross country, and track and field for the Cardinals, and was named the Athlete of the Year as a senior. Throughout his career, Holley earned a reputation for integrity, sportsmanship and humility. And he worked to instill those positive character traits in his athletes through both words and leading by example. Selected from nominations submitted by fans, with one honoree announced each month throughout the 2019 MLB season, each Blue KC Coaches with Character honoree will throw out the first pitch at a Royals home game, watch pregame batting practice, receive four game tickets, enjoy dinner in the Royals Diamond Club and visit the Royals Radio Network to record an on-air interview. Former William Jewell player and Park Hill high school boys’ basketball coach Chad Jones, who’s one of many branches from the Holley coaching tree, nominated Holley. The son of a coach and superintendent, Holley knew he wanted to be a coach after watching his dad work with his high school players in Jameson, Mo. And following his career as a student-athlete at William Jewell, he also knew where he wanted to coach. More than 40 years later, he now has a lifetime of experiences and memories to reflect on from living out his dream. In addition to the game-day benefits, each Blue KC Coaches with Character honoree also will be interviewed on 610 Sports Radio, receive a VIP gift package from Blue KC and CYITML and will be invited to meet Dayton Moore at an event in September at Kauffman Stadium. Additionally, Blue KC will make a $2,000 donation to CYITML in honor of each honoree. Throughout the season, Blue KC and CYITML will select five more area coaches to be recognized as Blue KC Coaches with Character. All honorees will be chosen based on nominations from the public, which will be accepted until early September. Those who would like to nominate an amateur coach from the KC area for Blue KC Coaches with Character are encouraged to visit CYouInTheMajorLeagues.org/bluekc.